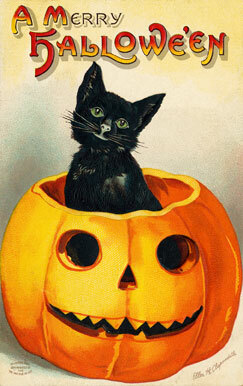 Ellen H. Clapsaddle is probably one of the most iconic postcard illustrators of her time. 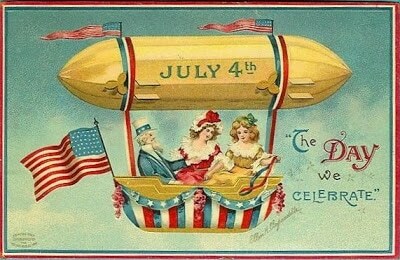 When you think of typical vintage postcards, you picture her work. 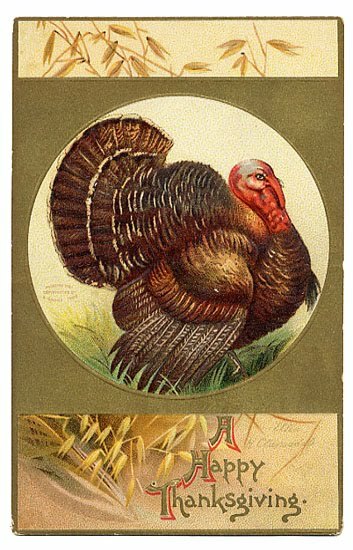 She was born in South Columbia, New York in 1865 and was a freelance artist who specialized in postcards, greeting cards, advertising fans and calendars. 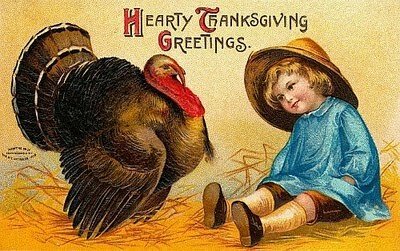 She is most famous for her more than 3,000 illustrated postcards, most of which depict adorable, innocent children in holiday scenes. She did so well in the postcard industry that she was able to invest money heavily in German postcard companies and later moved to Berlin to work closely with the engravers. While living there during WWI, almost all of her original works were destroyed when the factory where they were stored was bombed. After the war she returned to the United States destitute and lived out her remaining years in poverty until she died in 1934. You will see a lot of her work used in crafts today. Since her works are considered Public Domain, having been published prior to 1923, they are available to be used in projects. Does anyone else notice a dirigible theme? 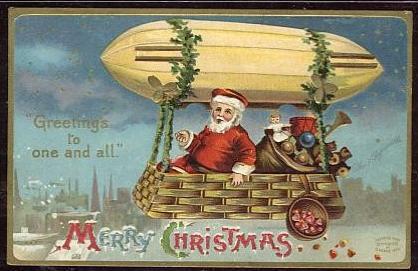 Actually postcards with dirigibles, blimps, airships and zeppelin are very popular with collectors. 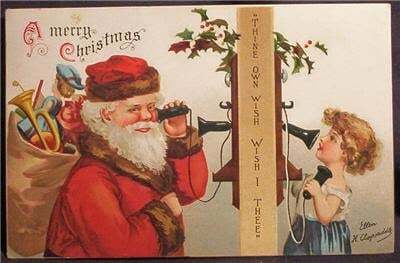 I have many Clapsaddle postcards of Christmas and Easter scenes, but since they are packed away for the season I found most of these images online. The graphics and colors of Ellen H. Clapsaddle postcards are an inspiration to me, so I am joining Common Ground’s Vintage Inspiration Friday along with Colorado Lady’s Vintage Thingie Thursday. Oh my, those are gorgeous!!! Gorgeous! Thanks for giving a name to the artist of these iconic images. I have some of these cards, and I love displaying them at holiday times. Thank you for sharing your collection. Gorgeous illustrations! It’s sad she died poor. I will keep an eye for some of these delicious postcards. I absolutely love her work. 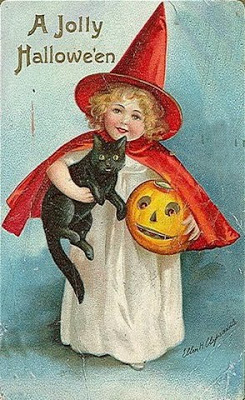 When I think of Halloween, I think of her work. 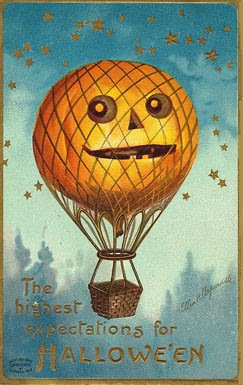 I adore the pumpkin balloon. Unfortunately, I don’t have any of those originals. I have a small collection of vintage postcards, only one has her signature, but I see some of these don’t either. Maybe I should have another look at them because some of them definitely seem to be her style. 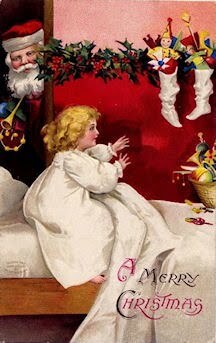 I’m sharing some postcards this week, too, I hope you’ll stop by! I love this artist. Her postcards are adorable. I have some of these in my collection. What a shame she died poor. Thanks for sharing. What a wonderful postcard collection you have. They all all so cute and fun. I enjoyed hearing the history behind them as well. 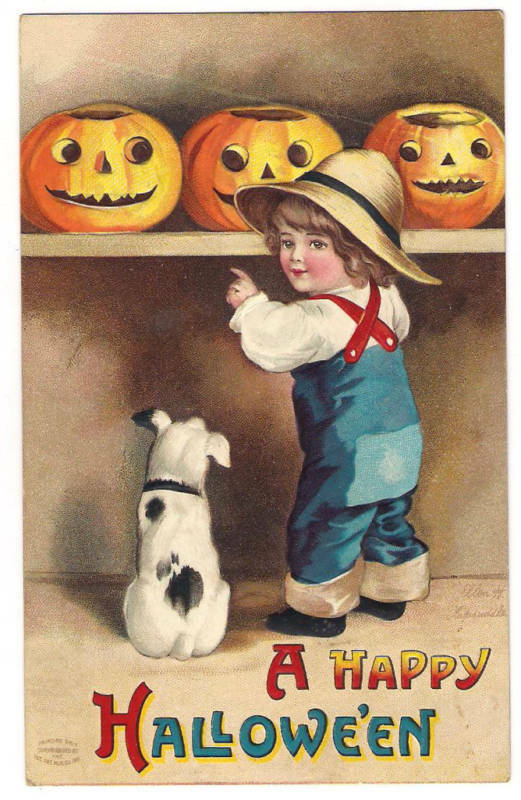 these are so sweet….I love the Halloween ones….so cute. 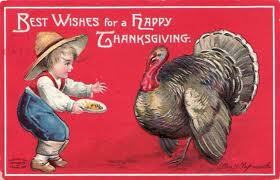 Have a great VTT! 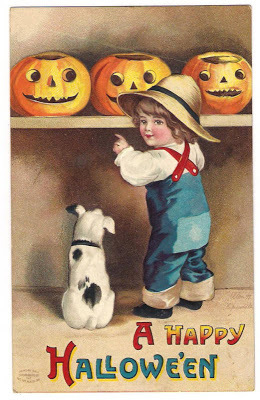 I have some of her Thanksgiving and Christmas postcards, but Halloween postcards are too expensive for me. How sad she couldn’t have reaped the rewards of her beautiful work. I have a few of hers. Thank you so much for all the info and the wonderful images – what a tremendous talent she was, so heartbreaking she passed away impoverished. This is my first visit to your blog via Common Ground. Thank you for sharing these images and information on them. 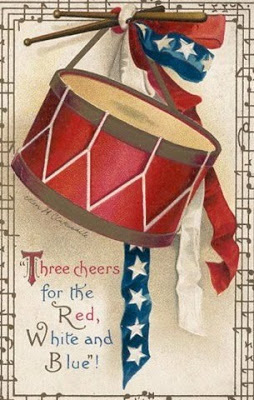 I have a old cigar boxes full of postcards that belonged to my great grand parents; a real treasure. I love her work. It is, however, so sad that she died impoverished and now her images are so popular. 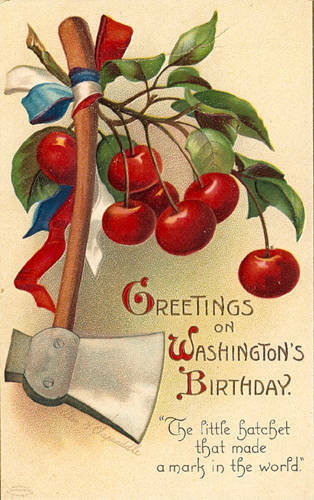 I never got a card for Washington’s Birthday! I will not tell a lie!